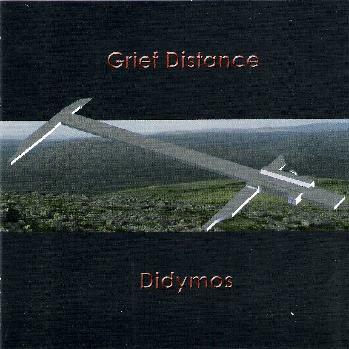 Didymos is Tommi Haavisto from Vantaa in Finland. Grief Distance is his second full release, on his own label. The music is all composed on synthesizers, in this case, almost exclusively software synthesizers. The music he creates is dark, droning but also beautiful. Some of this could easily be used in horror or psychological thriller movies. Tommi is quite a master of creating mood. Don't get me wrong, not all the music is dark and mysterious. The sound is very lush and rushes right over you (especially in headphones). I am quite impressed and if you are a fan of synthesizer based music like Tangerine Dream you will quite enjoy this stuff. I think it is quite amazing. For more information you can visit the Didymos web site at: http://www.elodraama.com.